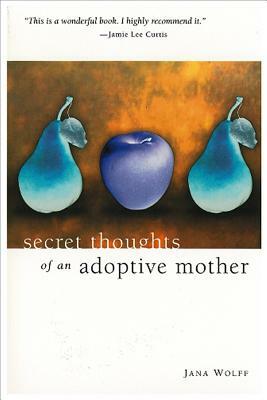 While books about adoption proliferate, none of them addresses the subject of open and interracial adoption like Jana Wolff's personal and frank account does in i]Secret Thoughts of an Adoptive Mother /i]. Often irreverent, always insightful, surprisingly funny and stunningly honest, i]Secret Thoughts /i] tells it like it is: How it feels for a woman to look nothing like her child and to know the woman who does. This fiercely honest and funny book answers questions no one dares to ask: What if I don't like the child I get? Will she want the baby back? If this is the happiest day of my life, why am I so sad? Am I too white for a kid this black? Chapter titles include: The Myth of Bliss, Friendly Racism, Meeting Your Child's Mother, and Adopted Poop Doesn't Smell Any Different.